The Minimum Routing Cost Spanning Tree problem is an optimization problem that strongly benefits from local search. 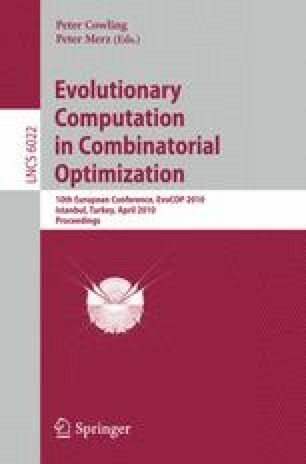 Well-established approaches are the Ahuja-Murty local search and a weaker subtree search used in an evolutionary framework. We present a new and efficient cycle search that has a lower time complexity but achieves the same results as the strong but slow Ahuja-Murty local search. Moreover, we show that an evolutionary framework using this cycle search outperforms previous approaches regarding both quality and time. Our approach is able to find (near-)optimal solutions in all runs for all tested instances.